While the prevailing MacBook models have displays with resolutions ranging from 1680 by 1050 to 1280 by 800, the ultra-high resolution for the new MacBook Pro will further differentiate Apple’s products from other brands, commented the sources. Earlier in the fall, Digitimes also suggested that a MacBook Air 15″ model would be released next year, but there is no indication that it would carry the same 2880 x 1800 pixel display. Hints of Macs with retina displays have existed for a while now. Earlier in the year, we pointed out that wallpapers in Mac OS X Lion are 3200×2000 resolution, greater than any currently shipping Apple hardware. Additionally, many icons in OS X Lion are 1024×1024 pixels, double what they were in previous Mac OS X releases. Finally, persistent iPad 3 rumors suggest the device will feature a retina display. One could guess that for Apple to release a retina equipped iPad, there would also have to be Macs with equal or greater screen resolutions available to adequately develop retina iPad apps on. I hope it comes to the MacBook Air line too, I’m in for one if so! 1024×1024 for an icon… seriously. At the risk of exposing my limited experience writing ios apps, how does one imply the other. Apps currently exist which fully use the iphone/ipod retina display (1 point = 4 pixels) and testing on actual hardware is unavoidable. if apple does this.. there will be no way pc laptops will be able to compete… they are already not able to complete with the macbook pro and macbook air lines as it is already. I’d much rather have imac or mac pro with proper “retina” displays and os support. At the moment OSX is crap at high resolutions, sorry, but that’s a fact. I see less use for retina for mobile devices such as ipad and/or macbook, but it’s good sales talk I guess. I’m not sure I like the way “retina” is misused btw, but maybe that’s another issue. Which OS are you comparing to OSX that, in your opinion, performs much better at high resolution? And what is a “proper” retina display? That’s 221 ppi….therefore NOT a retina display. 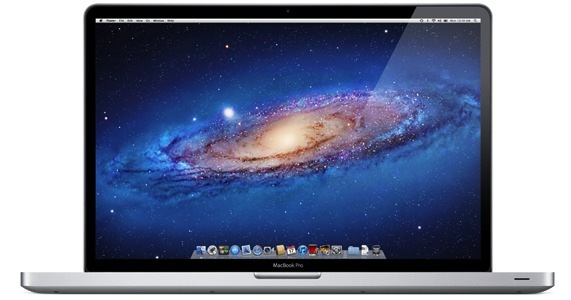 A 15″ MBP witha retina display would have a resolution of 4310×2693….not likely!